Books that explore death and bereavement for children often don’t line people’s bookshelves. We tend to seek them out when we need a book to sit with us and help explore the emotions of loss and the confusion of death with a child. Should we only reach for these books when we actually need them or should they be part of our everyday diet of books? Death is a part of life and maybe if we discussed it a little more easily and often, we would be better equipped to talk about it when it does happen to us? I have explored this question before in this post: Why are we reading about dead things? My sense? This is such a difficult and sensitive topic. But still, I think we should read these books as part of our regular reading with children and so titles on this topic sit both in my classroom and home collections. Here are some of what I feel are the best picture books out there to help us talk about losing a loved one and thinking about life going on afterwards. This is a sweetly sad little book, addressing the death of a parent from a child’s perspective. 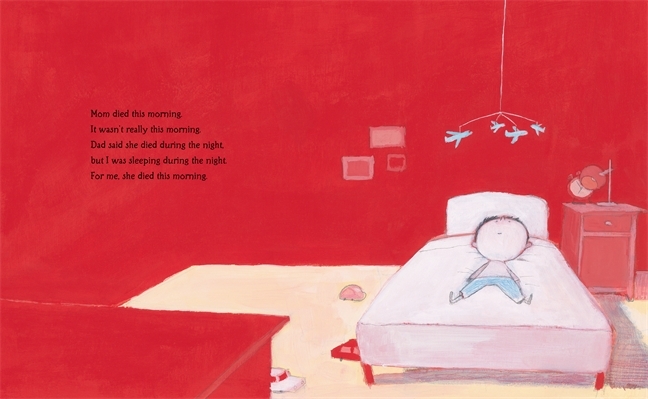 The illustrations tell as much of the story as the text – especially showing us all of the emotions our little child goes through in trying to make sense of his mother’s death. Fear: huddled, hugging knees at the base of a tree. Rage: stomping over a carefully built train track. Guilt: one little boy alone watching all of the other children with their Mums. 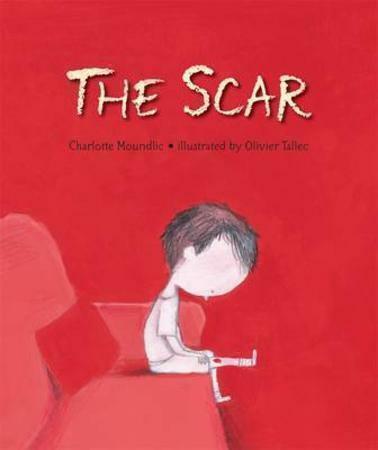 This book shows us how a family begins to heal. We see Dad’s sadness too: his moments laughing and crying through photo albums with his kids and his encouragement as everyone steps up to try and keep the house together. While we see the beginning of the healing process, we are reminded that there are still very sad days of missing and other days of bravery and love. The book ends with the little boy watering flowers. But I will always remember her. I know how special I was to my Mummy and she will always be special to me. Little Bruno’s Grandpa has died and none of it makes any sense to him. If Grandpa has “left us” as everyone tells him, then why is he lying right there where he can see his shoes peeking over the casket’s edge? Everything remains strange and confusing throughout the funeral and burial. Bruno sees adults cry and worries about who might comfort them. He enjoys the eating, drinking and celebrating that happen later at a restaurant but wonders why there were never celebrations like this when Grandpa was alive. In the days following the funeral, Bruno tries to make sense of everything. Where has his Grandpa gone? What is a soul? Why is he too young to understand anything? What if he begins to forget what Grandpa looks like? 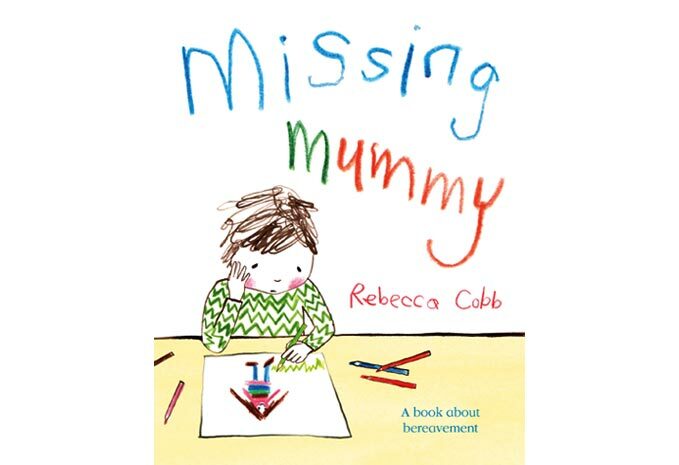 This book carefully explores how confusing the death of a loved one can be to a child. The reality of someone really being gone often takes more time. When Bruno begins to think of all the things he won’t be able to do with his Grandpa, he feels anger. The anger soon turns to sadness and Bruno finally cries. Naturally, his deeper understanding of death leads him to more questions. When will he die? Is there a heaven? Will it get too full? Weeks later, when life begins to return to normal, Bruno starts to eek out a little bit of peace. As more time passes, things become less sad. Bruno realizes that the pain in his heart has been gradually lessening. In Bruno’s heart, Grandpa is always smiling- just like in the picture. “If Grandpa is happy now, maybe I should start being happier too,” Bruno thinks. I appreciate that this book explores both the immediate confusion and the longer process of grief – all from a child’s perspective. The illustrations are strong, powerful and strangely beautiful. This book gets you on the first line, no easing in or warming up: Mom died this morning. We turn page after bright red page and experience, along with the little boy who has just lost his mother, a whole range of emotions: anger, frustration, disbelief, anxiety . . . So sad when just Dad and son try to navigate through their grief, being there for each other but both feeling so alone. When Grandma comes and opens the windows to air out the stuffy house, our little boy explodes! “No! Don’t open the windows! Mom’s going to disappear for good . . . ” And I fall and the tears flow without stopping, and there’s nothing I can do and I feel very tired. Grandma soothes, consoles and explains, patting his chest. 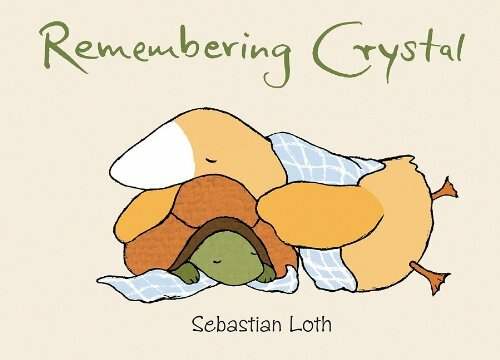 Remembering Crystal is a beautiful little book that through simple text (only a sentence or two on each page) and powerful pictures addresses the range of emotions felt when a friend is gone. It celebrates friendship and explores all of the emotions felt in grief – denial, anger, helplessness, sadness and finally coming to a place of peace. Zelda is a young goose and her best friend is an old turtle named Crystal. They do all sorts of things together. Read. Swim. Travel. Talk about everything from their fears to their dreams. Then one day Crystal is not in the garden. The other geese explain to Zelda that Crystal had a long and happy life and it was time for her to die. Zelda won’t believe this. She thinks the geese are hiding Crystal and goes off in search of her. She looks everywhere and can’t find her friend. When she returns to Crystal’s garden she is very lonely and very sad. Finally, she accepts that Crystal is gone. She knows that she will always remember Crystal and wherever she goes, Crystal will be with her in her heart. I feel like this book whispers to you as you turn the pages. Two words. Fragility. Resilience. It forces us to face how truly fragile, protective and broken we can become but yet reminds us that resilience is always ours to claim when we are ready for it again. The little girl in this story is in love with life. Curious. Passionate. Joyful When she suddenly loses someone she loves, she places her heart in a bottle, protecting herself from feeling any intense emotions. But eventually, she recognizes that life without intense feelings, is not much of a life after all. 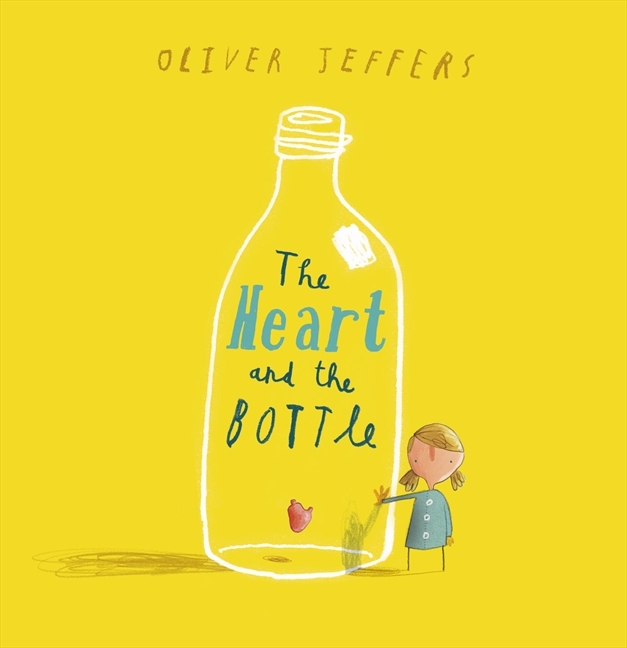 This book tackles the theme of death and grief more metaphorically than head on, but it is a beautifully touching book to help explore the emotions that surround losing someone we love. This book speaks to another aspect of losing a parent: making room in our hearts for others. 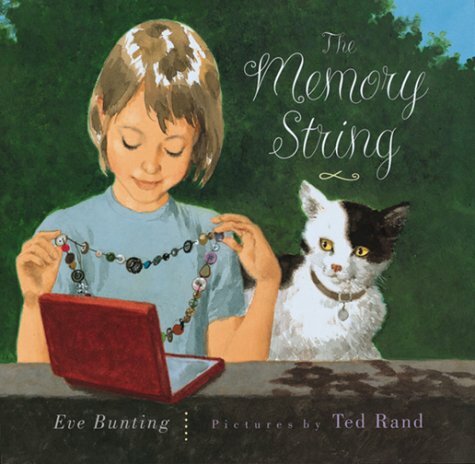 Laura has a precious memory string that holds specific memories of her mother and her mother’s family history. When the string breaks and the buttons are scattered, Laura is frantic. She is resentful and angry about her new stepmother and rejects her offers to help. But when she hears her stepmother talking and realizes that she is understanding and sensitive to Laura’s feelings, she offers a gesture of acceptance and the potential for a new and important relationship in her life. Bunting, as usual, handles such an important topic beautifully. I appreciate that this book honours that grief is something that is ongoing and that learning to navigate the world without a parent is a long and complicated process. This title explores the complicated emotions of loss and grief. How do we hold on to our memories? How powerful is forgetting? Why does it seem to get easier and then harder again? In this title, a young girl participates in a number of things to help her hold on and remember the one she lost. She makes a memory box, asks others to talk and share their own memories and begins to enjoy new experiences (making new memories). While this book has a gentle, soothing feel, it doesn’t pretend that having somebody die is easy. Many pages reveal the confusing, contemplative, lonely feelings involved in grief. Some days are good. I laugh. I smile. Other days, I wonder if I’ll ever stop feeling sad you’re gone. This book tackles the sudden death of a pet. It is done in a gentle, sweet way that respects everyone’s process. We first meet Hopper as a puppy and the bond between boy and his dog is established. When Harry comes home from school and Hopper is not there to meet him, his father tells him the sad news that Hopper is gone. Devastated, Harry cannot even sleep in his own bed and his Dad fashions him a makeshift bed on the couch. 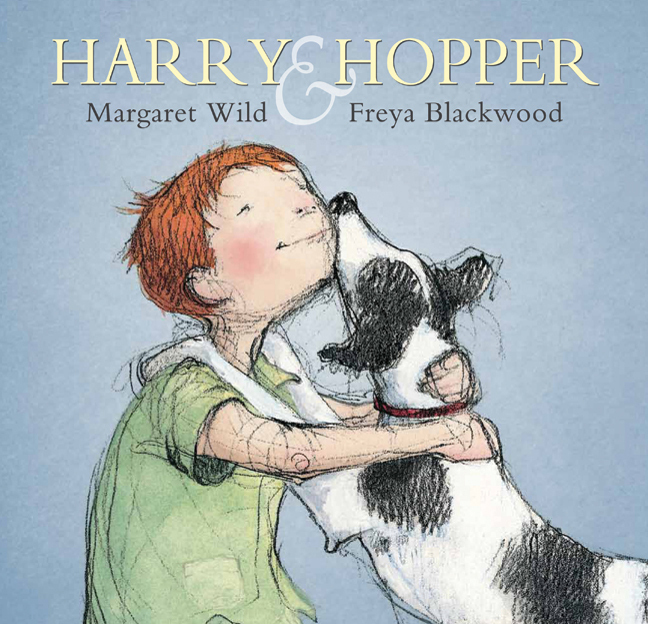 Over the next few nights, Harry has “visits” from Hopper – a way to let him say goodbye in his own time to his beloved friend. Freya Blackwood’s beautiful illustrations add much to this story. While this isn’t actually about the loss of a pet, it is about the loss of a friend and deals with our bonds with creatures that have different life expectancies than we do. 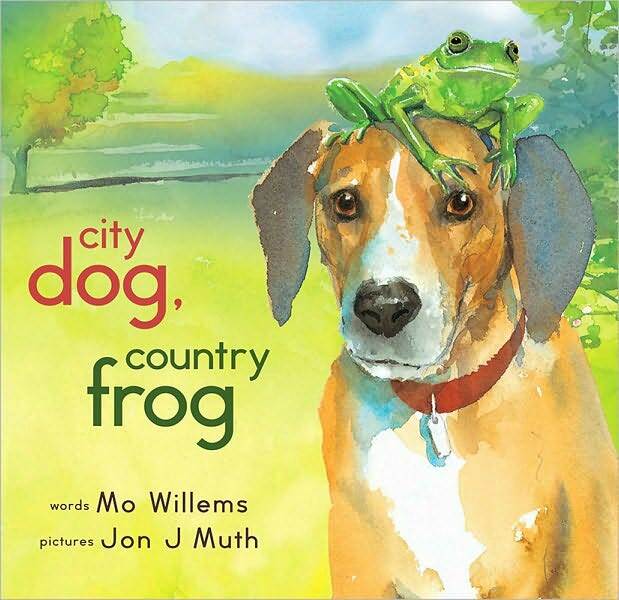 Playful and celebratory, this friendship between a young dog and an old frog spans four seasons. And then, the frog just isn’t there anymore. Loss and friendship. The rhythms of life. Beautifully done. One morning, Mousie won’t wake up. 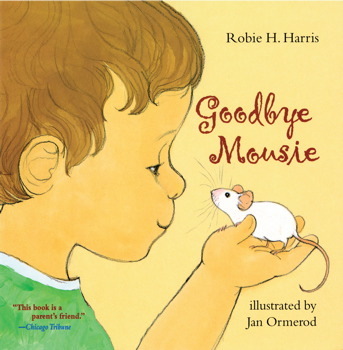 A well done title that deals with the death of a pet and how it is handled by a preschooler. Illustrations of the family interactions are warm and natural. So much is natural about this book. The little child has very normal feelings – sorrow and upset. Even anger. His questions about what has happened and how his pet will be buried are realistic. Getting the box ready to be buried is an important part of the grieving and acceptance process for this child. A perfect book to help make sense of death for a younger child. I just discovered your blog site and love it. I’m in the process of creating a children’s book review website and one of the books about bereavement that I love is: Badger’s Parting Gifts by Susan Varley (Anderson Press). When badger dies his friends are heartbroken but slowly they gather to talk about Badger and remember all the wonderful things they had done together. As the season changes they realise that when they think of him they feel happy because of their good memories. 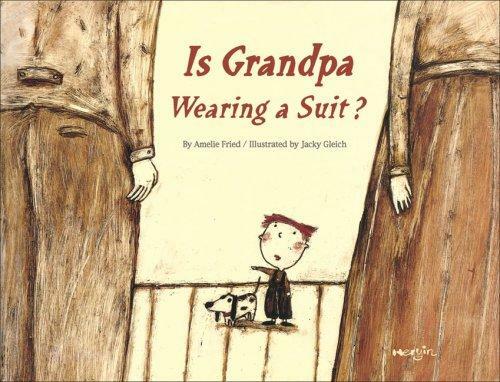 A beautiful classic picture book.